Valentine is as sweet as can be! Adopt this great girl today. Big fan of: Playing and exercising! Valentine likes to stay active. She is most confident when she is around her favorite people, and will look to them for support when she is in a new place or meeting new people. If Valentine begins to feel overwhelmed, tasty treats and loving attention will help her become more comfortable. Special features: Valentine walks nicely on her leash and is eager to learn more of her basic manners. 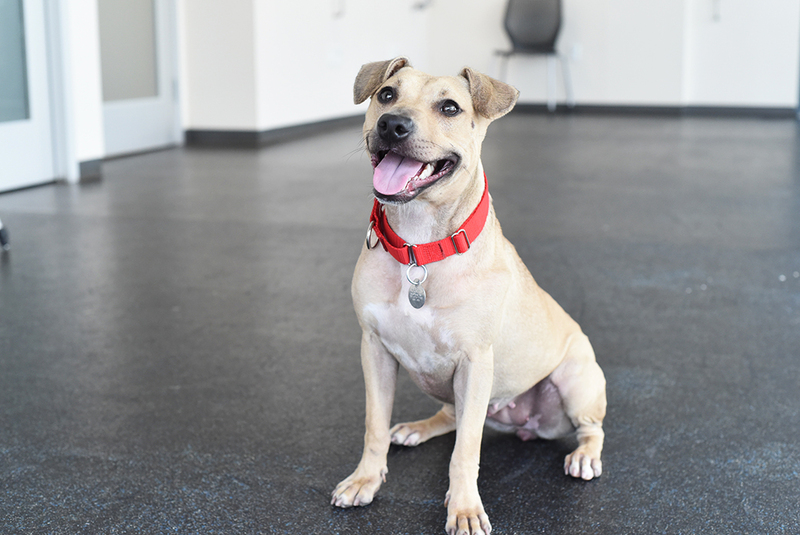 She already knows “sit!” In her new home, this energetic girl would benefit from daily running exercise. Valentine is not a dog-park-dog and should meet other dog friends in a one-on-one setting. She is still learning polite playing behaviors. 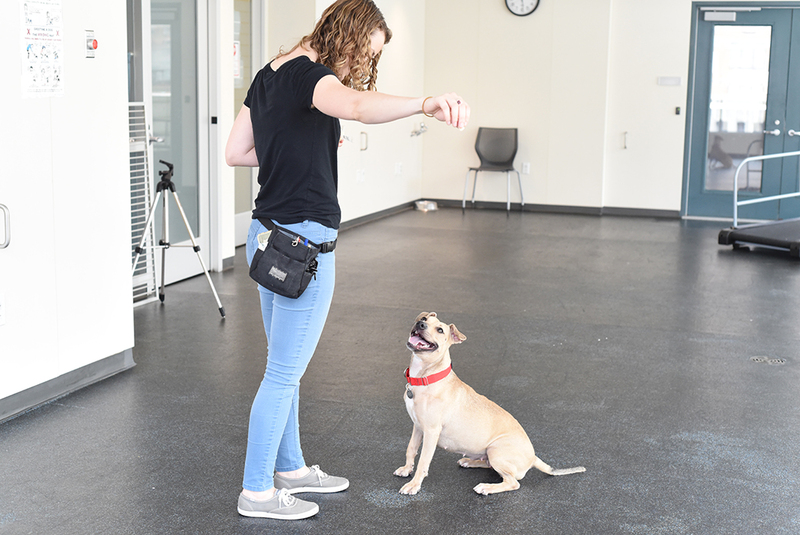 A routine walking schedule will help this smart girl learn to only use the bathroom outside. Dream home: Valentine would love to meet an active, experienced adopter and join a home with kids 12-and-up.